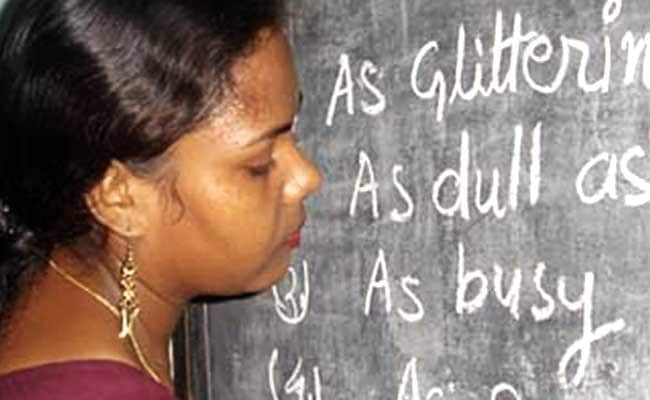 The government said nearly 2,000 posts of teachers are vacant in the state's 252 government colleges and RPSC has been designated to fill 850 of these posts. Rajasthan Public Service Commission or RPSC will release notification for Assistant Professor recruitment in government colleges across the state. According to minister for higher education Bhanwar Singh Bhati, nearly 2,000 posts of teachers in government colleges of Rajasthan are vacant and he told the state assembly here on Monday that the vacancies will be filled sson. Mr Bhati was replying to a question raised by Bhartiya Tribal Party (BTP) legislator Rajkumar Raot in the assembly, reported Press Trust of India. "Nearly 2,000 posts of teachers are vacant in the state's 252 government colleges and RPSC has been designated to fill 850 of these posts," the minister said in his answer. The RPSC conducts recruitment to various cadres and posts in the state of Rajasthan. The Commission on Tuesday released various exam dates for the tests scheduled to be held in the months of June, July and August this year. According to the RPSC, the RAS and RTS Combined Competitive (Main) exam 2018 will be held in June while the Senior Teacher- special education exam-2018 by Secondary Education Department will be held in July first week. Lecturer - School - exam 2018 by Secondary Education Department, Physiotherapist Screening Test 2018 by Medical and Health Department, Lecturer-School- exam-2018 by Sanskrit Education Department, State Engineering Services Competitive (Mains) exam, 2018, and ACF and Range Officer Grade- I exam, 2018 (Forest Department) will be held in July and August.